Stop Popping Pills—Fix Your Headache Now! 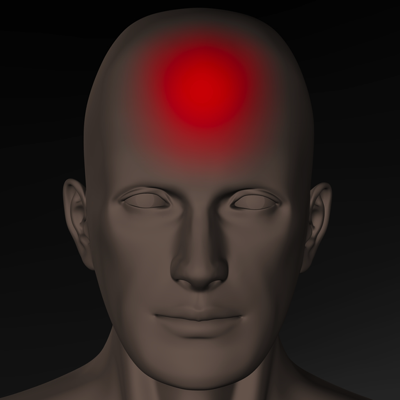 Headaches are one of the most common and frustrating health problems in the world today. While pain pills may temporarily cover the symptoms, they do not address the cause of your headache. 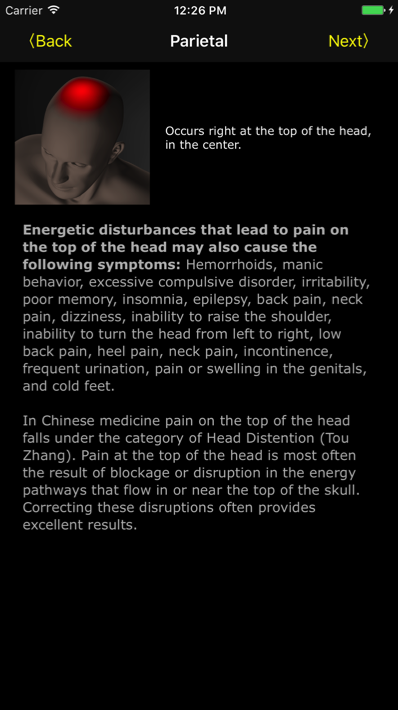 The principles of Traditional Chinese Medicine teach that energy imbalances in the body often contribute to headache symptoms, and that these imbalances can be corrected with pressure to specific points on the body. 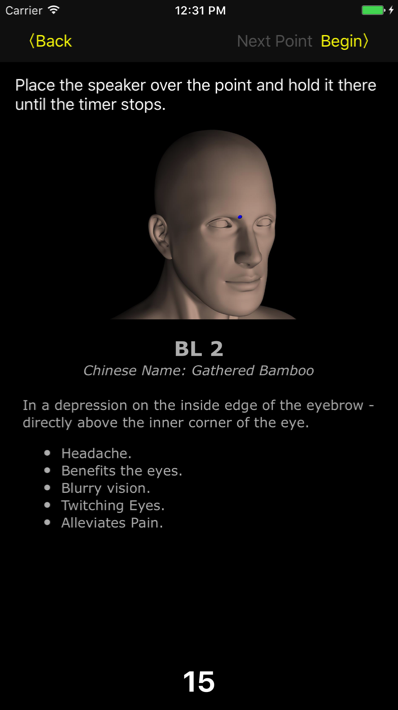 This application will teach you the common causes of various types of headaches according to the ancient principles of Chinese Medicine, and will show you which points are associated with each type of headache. These points are traditionally treated with needles, but they may also be effectively treated with pressure, vibration or sound of specific frequencies. Selected by licensed acupuncturists, these points may bring you safe, natural, effective relief. 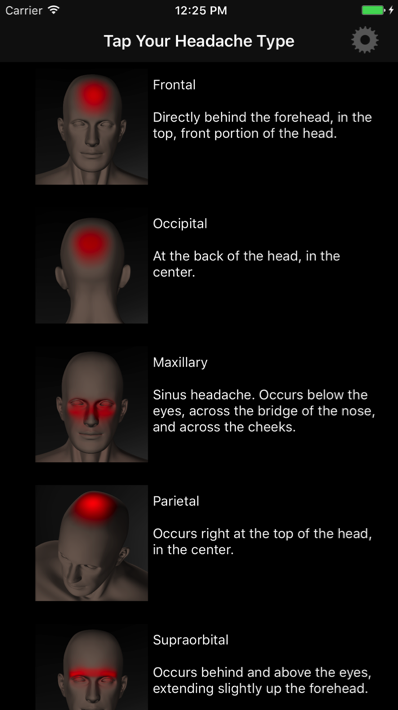 Headache features simple self-treatment instructions anyone can follow. No technical or medical knowledge is required and your self-treatment only takes a few minutes.